NY Times best-selling romantic suspense author Brenda Novak’s annual online auction returns this May — the entire month — with an amazing array of prizes for writers and readers. All proceeds go to juvenile diabetes research — a cause prompted by Brenda’s own son, who has Type 1 diabetes — more than 1.6 MILLION has been raised so far! More from the auction website. 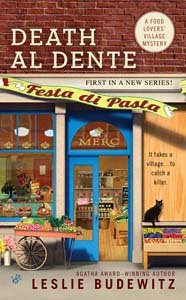 My contribution: a signed copy of Death al Dente and a basket of Montana goodies! This entry was posted in Food Lovers' Village Mysteries and tagged Brenda Novak's Annual Online Auction for Diabetes Research, Food Lovers Village Mysteries by Leslie Budewitz. Bookmark the permalink.